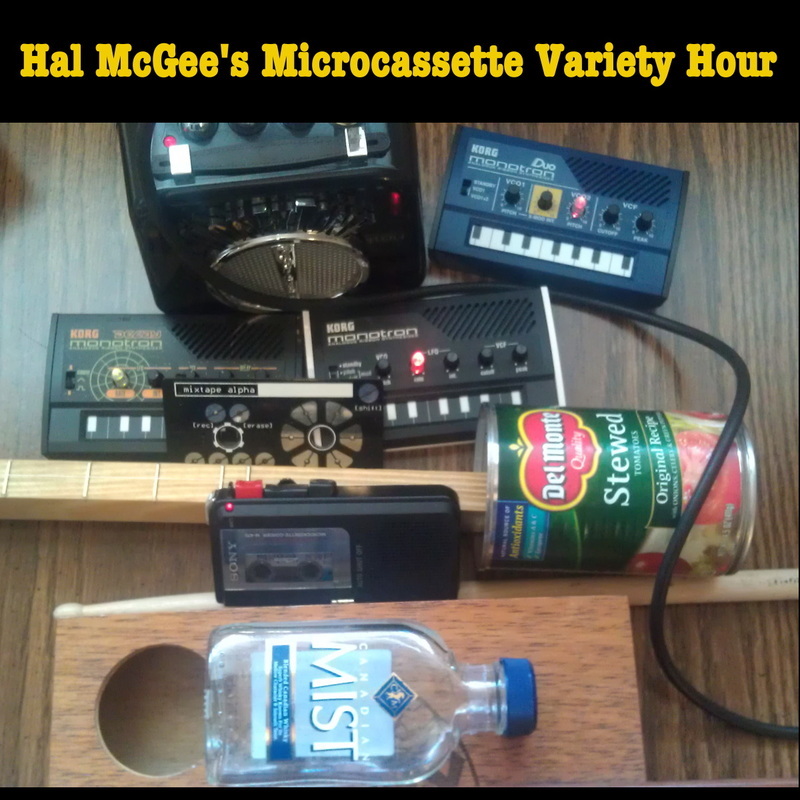 Hal McGee's Microcassette Variety Hour is a 60 minute tape recorded from June 9 through July 5, 2012. 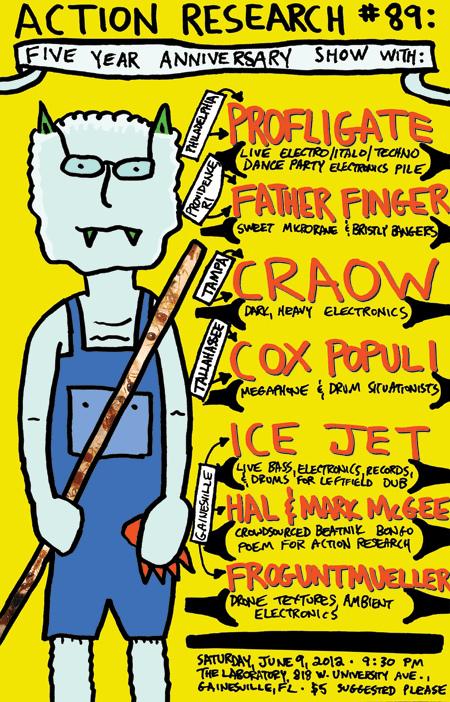 A Beatnik bongo poem live performance, Monotron improvisations, a circuit bent Casio SK-1 jam, canjo and diddley bow instrumentals, sounds from my daily life, all in their mundane lo-fi glory. The track titles describe what you will hear! The original hour-long tape has been divided into 35 separate tracks. The volume levels of some of the instrumental tracks have been boosted a bit. 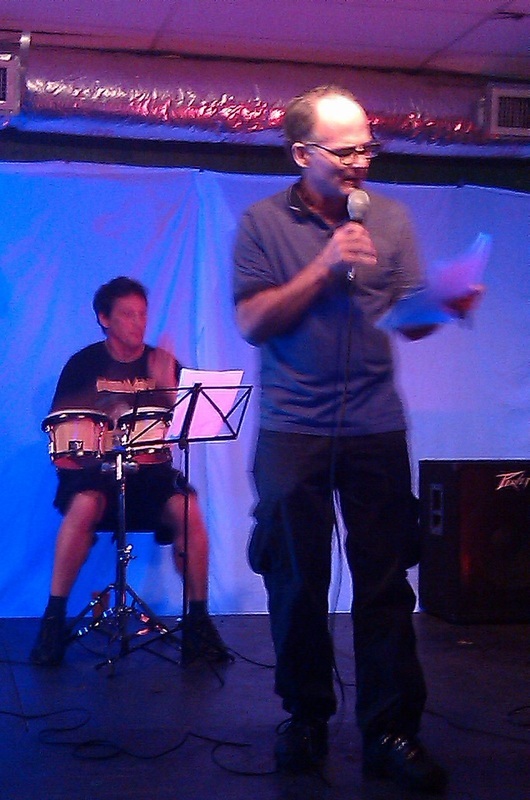 Hal and Mark McGee perform Beatnik Bongo Poem for Action Research, at Action Research show #89, June 9, 2012. Photo by Andrew Chadwick.